Our office has recently become SMART certified. What is S.M.A.R.T, do you ask? It stands for Safe Mercury Amalgam Removal Technique. The reason I chose to do this is because it has become more and more apparent to me that, though the ADA tells us that amalgam fillings are safe, my own research has shown me that they are loaded with mercury and they release mercury vapors at all times. What Can Rose Dental Do For You? Our advanced whitening system will help you achieve a brighter smile in just 20 minutes with no sensitivity. You’ll begin with a detailed cleaning by our hygienist to receive the best results. Smile Perfected is a user-friendly technology with a patented pre-filled tray that allows you to relax the jaw while whitening. Our soft gel is activated with an LED light – after 20 minutes you’ll notice a visibly whiter smile! Snoring can be the result of several factors. Typically, snoring is caused by the relaxing of the muscles and tissues in the throat and mouth, making the air passage smaller. If you snore at night, then a mandibular advancement device (MAD) may be a solution for you. Rose Dental offers the MAD – a specially designed dental device that gently helps keep the lower jaw (or mandible) in a forward position, increasing the space between the airway passage and helping you breathe better so you can get a good night’s rest. We take a holistic approach to dental care with an oral cancer screening as a part of your regular exam. Our team is trained to perform quick screening with an exam of your oral cavity to detect cancerous and precancerous cells. We will also feel the tissue of your mouth and throat to detect any abnormalities. If we find an area of concern, we may perform a simple test to be sent to a laboratory for analysis. If this test comes back atypical or positive, we may recommend a biopsy. Rose Dental is a certified Invisalign provider. As a popular alternative to braces, Invisalign is a series of clear, undetectable trays that align your teeth. 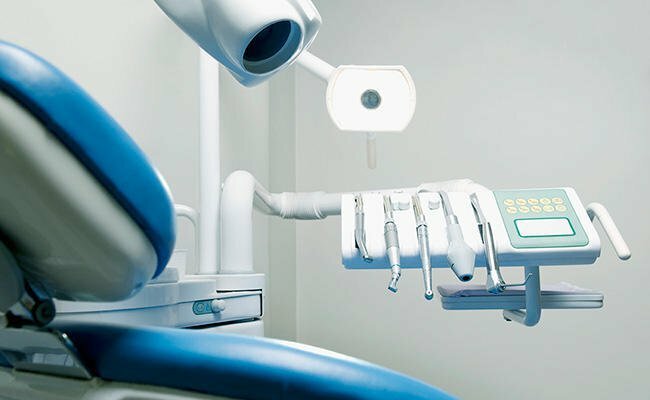 You’ll change the trays each series as they move your teeth into proper placement utilizing 3D imaging. Eating and drinking what you want isn’t an issue during the treatment. No wires, no worries! Treatment averages about 15 months until teeth shift to their final placements. We offer so many more services, and you’ll feel right at home with Dr. Aaron and the Rose Dental team as we treat you just like family. Learn more about our services by going to www.rosedentalatl.com and contact us today to book your first appointment. Leave a Comment on What Can Rose Dental Do For You?